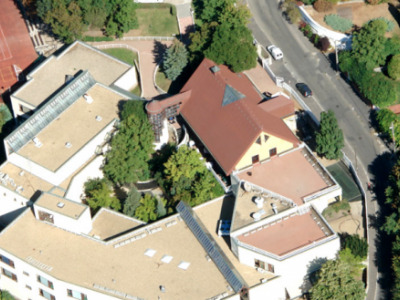 Britannica International School is one of the oldest British School in Hungary and is located in Budapest. It offers education programmes to children ages 5 (Primary) through 18 (A-Levels Secondary). Britannica International School was founded in 1994 is granted accreditation by the Council of International Schools (CIS), Hungarian Ministry of Education and the UK Qualifications and Curriculum Authority. The school's programmes are based on the National Curriculum for England and also offers International General Certificate of Secondary Education (IGCSE), Advanced Subsidiary Levels (AS) and Advanced Levels (A Levels) for Secondary Section. The school facilities include a 250 seat auditorium, a large gymnasium, an indoor swimming pool and two tennis courts. Britannica International School has a strong curriculum that is brought by both the administration and teachers alike, so that the students may have a powerful opportunity to learn. A second plus point is the student to teacher ratio being 1:10, so teachers will have more time to teach students individually and less grading papers and teaching. The development that I would believe is acceptable would be for the administration to increase its intervention between parents, teachers, and students. They’re doing a great job, though I think it could be better. My advice for those who would want to teach here, I think it’s a great idea, especially for those teaching abroad in Europe to gain experience. The administration is quite helpful here.